Wanted to share a few pictures of our car from Truck-or-Treat last Friday night at my son’s school. We’ve been going to Trunk-Or-Treat for the past few years and it’s such a blast. 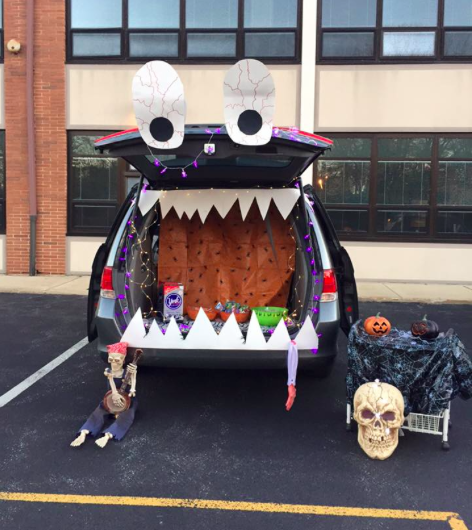 For those not familiar with the concept – you decorate your car trunk and then the kiddos can trick or treat from car to car in a parking lot. People get really into it! I’m not all that creative so I usually just toss a few Halloween-type goodies into the trunk but I wanted to find something more simple and fun this year. Didn’t it turn out adorably? Then I went on Amazon and ordered these LED battery-operated purple Spider lights which I think really made the trunk fun when it got dark. Super fun! 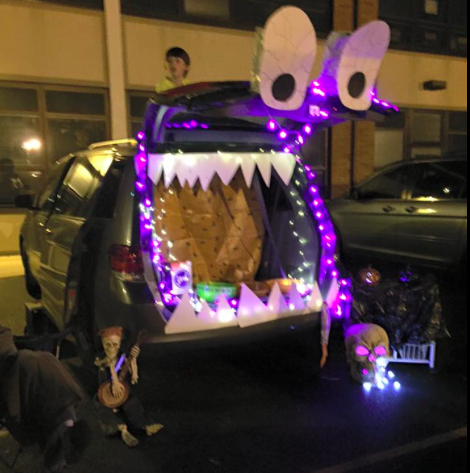 They had a little contest and we didn’t win but I think we did pretty well and tons of kids loved our trunk. Can’t wait for next year!